M² Subsea has joined forces with Frontera Offshore to deliver remedial pipeline work for Permaducto, a subsidiary of Grupo Protexa, in the Ku-Maloob-Zaap (KMZ) oilfield in the Bay of Campeche, 65 miles north east of Cuidad del Carmen, Mexico. This contract also marks the first award for M² Subsea in the Gulf of Mexico region. The project will see personnel from M² Subsea’s Houston base on-board Frontera Offshore’s chartered multi-purpose support vessel (MPSV) Tehuana, to facilitate pre and post lay surveys for Frontera Offshore. The survey work will be carried out along a 7.5km section of the KMZ-94 pipeline to be stabilised for the Mexican pipeline contractor, Permaducto. 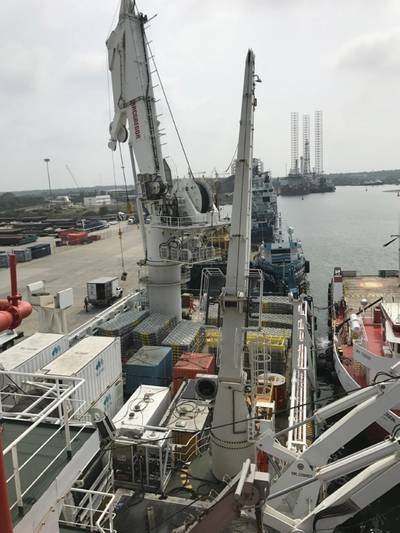 Two Triton work class ROVs will be deployed from the MPSV Tehuana to deliver the survey services, with 277 mattresses being installed at a depth of approximately 250ft. With over 100 years’ global subsea experience between the executive team at M² Subsea and strong financial backing, chief executive officer Mike Arnold said the company is well on track to meeting its business objectives.